In the depths of the Amazon rainforest in Brazil live tribes who have no contact with the outside world. Illegal loggers and cattle ranchers are invading their land and bringing disease. They won’t survive unless this stops. 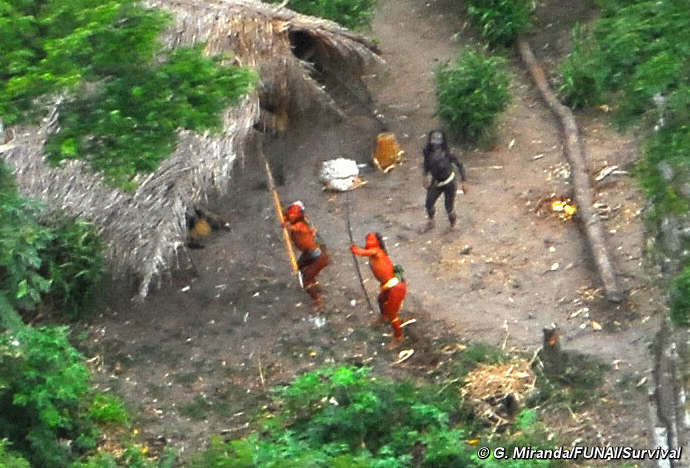 Some uncontacted tribes are tragically down to their very last members. Here are some of the most threatened. The &apos;Man of the Hole&apos;s&apos; house and garden where he grows manioc and other vegetables, Brazil. 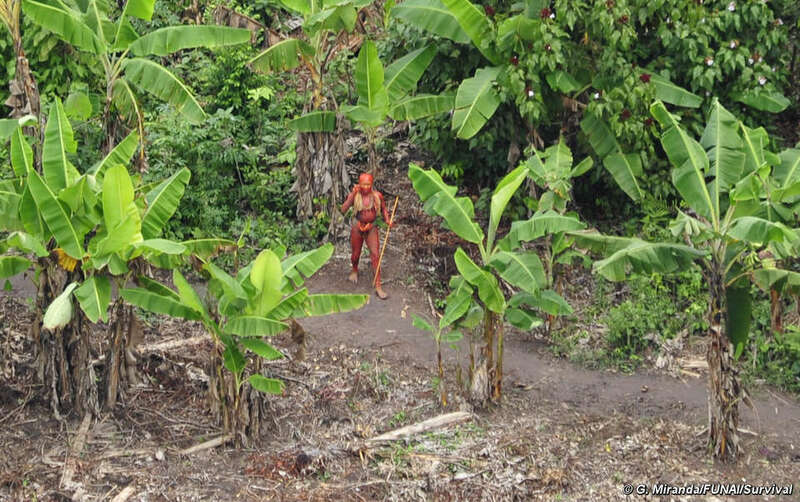 It is believed that this lone man is the last survivor of his people, who were probably massacred by cattle ranchers occupying the region of Tanaru in Rondônia state. He lives on his own and is constantly on the run. We do not know his name, what tribe he belongs to or what language he speaks. He is sometimes known only as ‘the Man of the Hole’ because of the big holes he digs either to trap animals or to hide in. He totally rejects any type of contact. 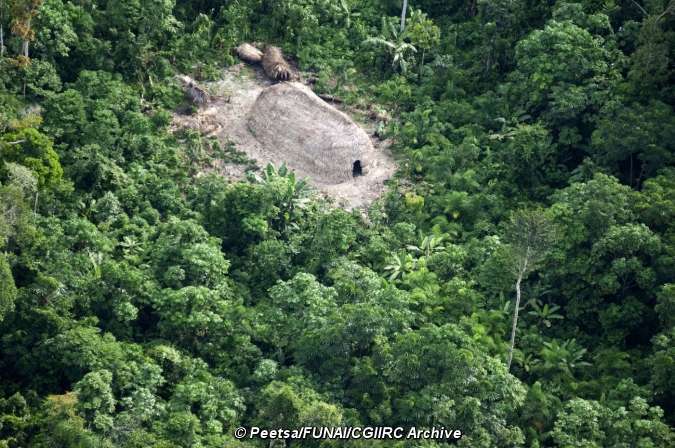 FUNAI has set aside a small patch of rainforest for his protection. This is entirely surrounded by cattle ranchers. In late 2009, the man was viciously targeted by gunmen. 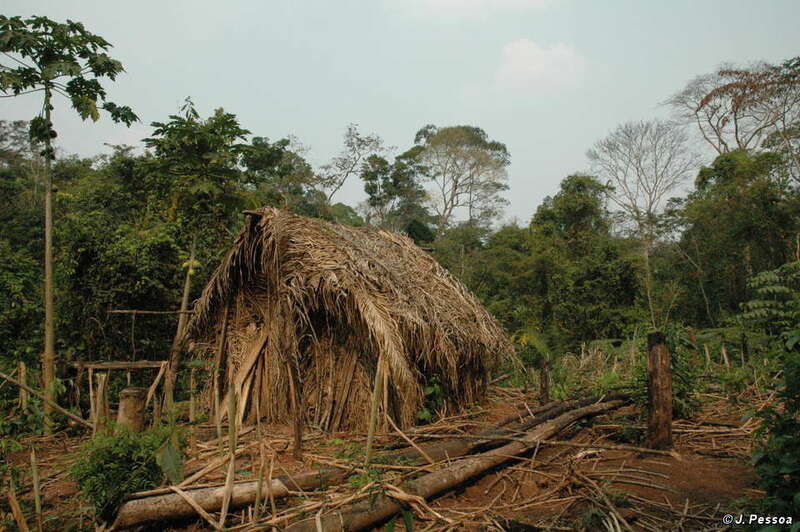 In the past, many ranchers have used gunmen to kill uncontacted Indians in Rondônia. We do not know what these people call themselves, but their neighbours, the Gavião Indians, call them the Piripkura, or the ‘butterfly people’, describing the way that they constantly move through the forests. They speak Tupi-Kawahib, a language family shared by several tribes in Brazil. Tucan, a Piripkura man, sleeping in the forest, Brazil. The Piripkura numbered around 20 people when FUNAI first contacted them in the late 1980s. After contact they returned to the forest. Since then, contact has been re-established with three members of the tribe, but no one knows if there are any more survivors. The Piripkura numbered around 20 people when FUNAI first contacted them in the late 1980s. After contact they returned to the forest. Since then, contact has been re-established with three members of the tribe. In 1998 two Piripkura men, Mande-í and Tucan, walked out of the forest of their own accord. One of them was ill and was hospitalised. During the short time he spent in hospital he talked about how in the recent past his people were more numerous and described how they had been massacred by white people, and how he and his sole companion moved through the forest hunting, fishing and gathering. We do not know whether there are any other Piripkura survivors. But Mande-í and Tucan are in great danger as their land is constantly invaded by illegal loggers who are blocking their forest trails to prevent them from hunting. FUNAI has signed a temporary order forbidding anyone to enter the Piripkura’s land without permission and banning all economic activities there. But unless the government takes urgent action to map out and sign their land into law now, the last known Piripkura survivors may disappear for ever. 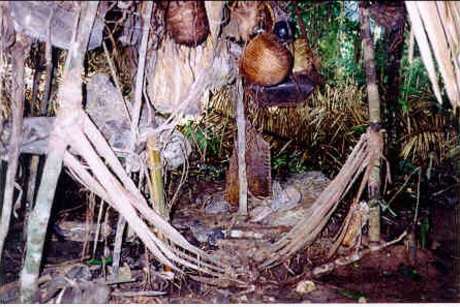 Little is known about this tribe but they are believed to belong to the Kawahiva group. FUNAI estimated they numbered about 50 some years ago but nowadays they may be even fewer. 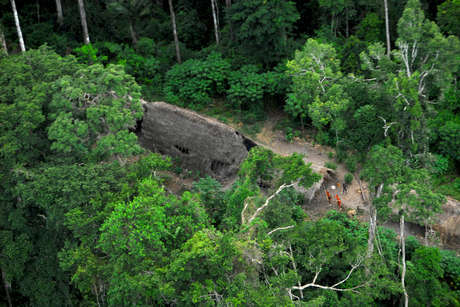 A hastily-abandoned house of uncontacted Indians, Rio Pardo, Brazil. It is believed they stopped having children because they are constantly fleeing loggers and other intruders. As they are always on the move, they cannot cultivate and must rely solely on hunting and fishing. 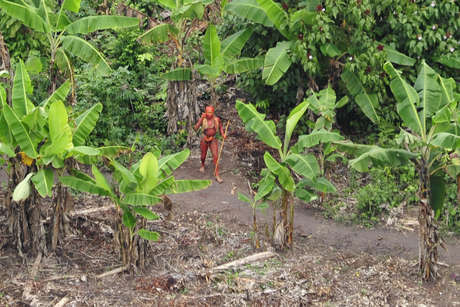 Their land has not yet been protected and therefore their survival as a people is at great risk. 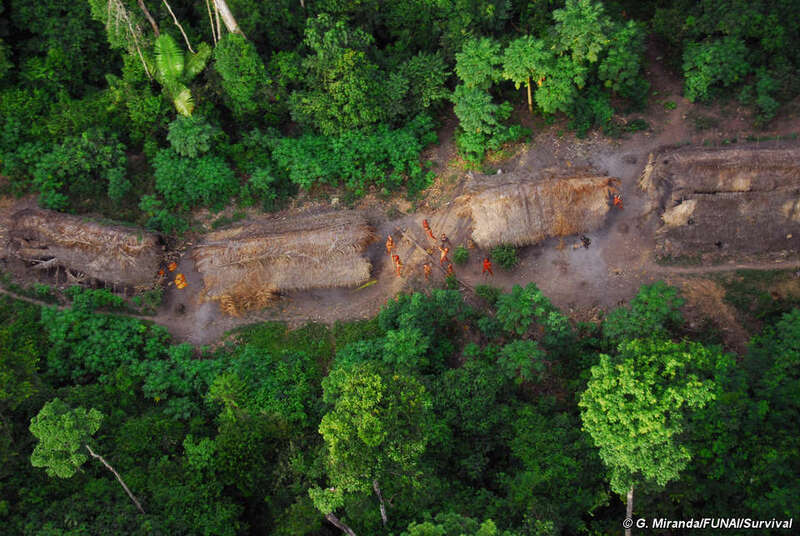 Their forests are constantly being invaded by loggers many of whom operate out of Colniza, one of Brazil’s most violent frontier towns in one of the most deforested regions in the Amazon. In an unexpected move, a federal prosecutor has launched an investigation into the genocide of these Kawahiva. According to the UN, the crime of genocide is ‘deliberately inflicting on the group conditions of life calculated to bring about its physical destruction in whole or in part’. Evidence suggests that loggers are deliberately targeting them forcing them to abandon their houses and keep on the run. 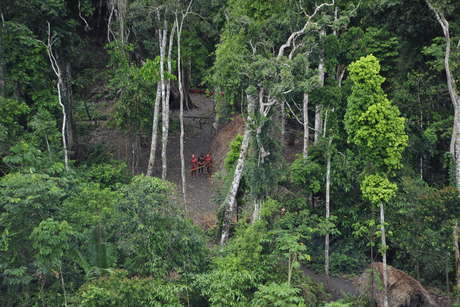 On the border of Brazil and Peru, the Javari valley is home to seven contacted peoples and about seven uncontacted Indian groups, one of the largest concentrations of isolated peoples in Brazil. 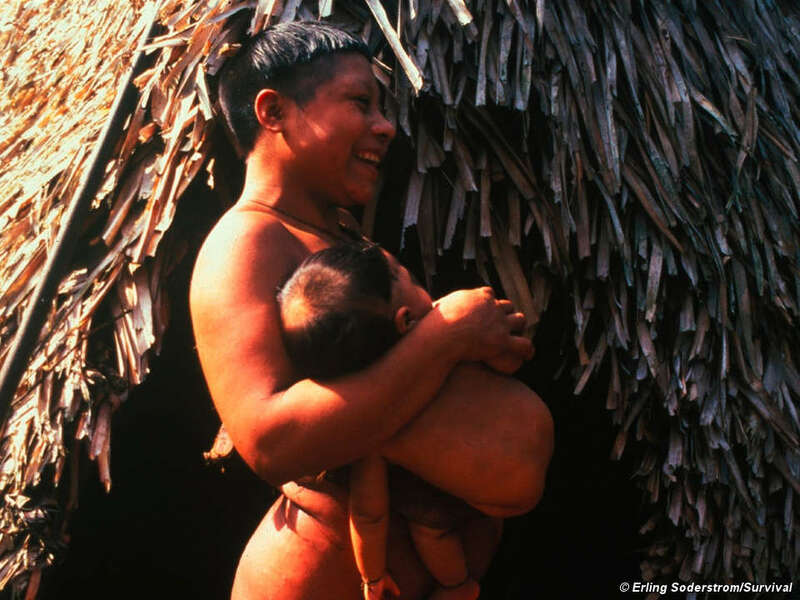 Korubo mother and child in the Javari Valley around the time of first contact in the mid nineties, Brazil. Located on the border of Brazil and Peru, the Javari Valley is home to seven contacted peoples and about seven uncontacted Indian groups, one of the largest concentrations of isolated peoples in Brazil. One group, the Korubo are known in the area as ‘caceteiros’ or ‘clubmen’ because of the large clubs they use to protect themselves. 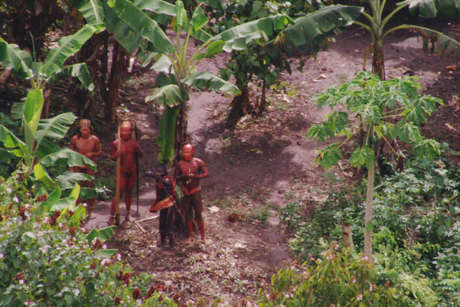 In 1996 FUNAI made contact with a group of 30 Korubo who had split off from the main group, which remains uncontacted and repeatedly avoids contact with surrounding groups. 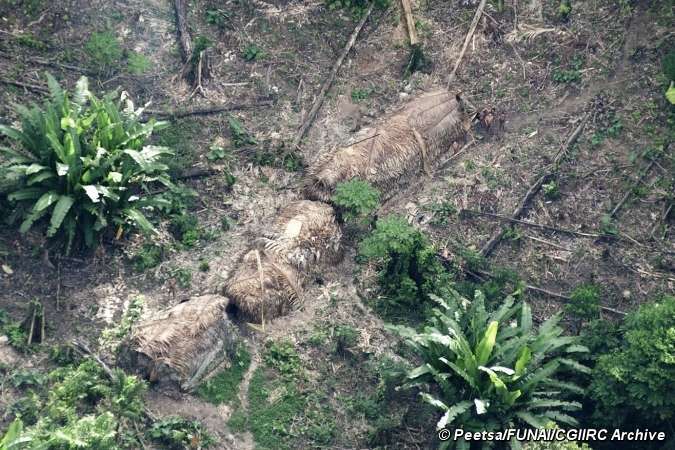 Lethal diseases caught from outsiders are affecting contacted groups in the territory and there are fears these could be transmitted to uncontacted groups with tragic consequences. 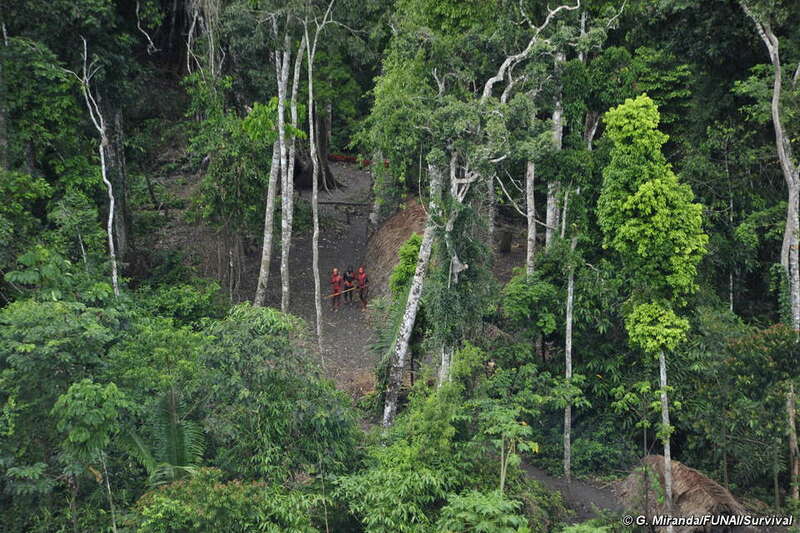 Time and time again, contact has resulted in disaster for Brazil’s uncontacted tribes. These very isolated peoples have not built up immunity to diseases common elsewhere, which is why they are so vulnerable. The Matis population fell by half following contact, when both young and old, including most of the shamans, died from introduced diseases. The Matis of Brazil recall the devastating impact of first contact. 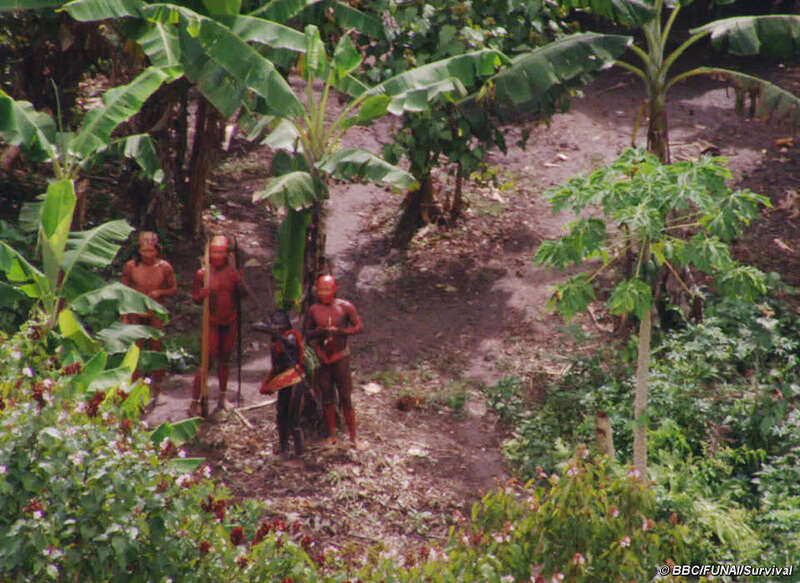 Conflict and violent clashes are one of the most common outcomes of economic activity in areas where uncontacted people live. Such conflicts have led to the death of some outsiders and many more Indians. The last five surviving Akuntsu suffered brutal attacks, witnessed the massacre of their companions and saw their homes bulldozed by ranchers. The photos reveal a thriving, healthy community with baskets full of manioc and papaya fresh from their gardens. Brazil’s Amazon is home to more uncontacted tribes than anywhere in the world. There are thought to be at least 100 isolated groups in this rainforest, according to the government’s Indian affairs department FUNAI. 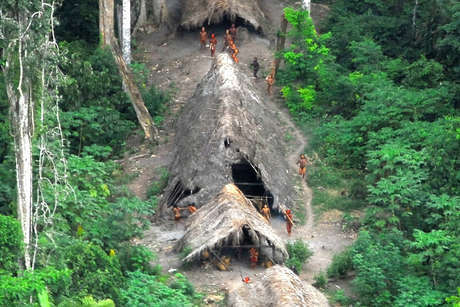 Their decision not to maintain contact with other tribes and outsiders is almost certainly a result of previous disastrous encounters and the ongoing invasion and destruction of their forest home. For example, the uncontacted groups living in the state of Acre are probably survivors of the rubber boom, when many Indians were enslaved. 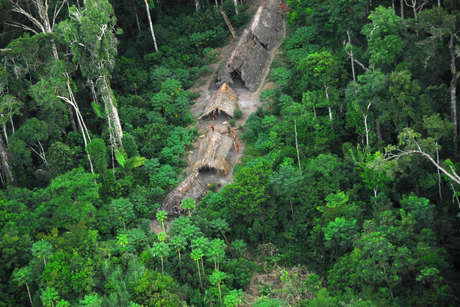 First Contact in the Amazon: Tribes of Brazil recall their experiences of contact and the dangers that followed. It is likely that the survivors escaped by fleeing up the rivers. Memories of the atrocities against their ancestors may still be strong. Very little is known about these peoples. 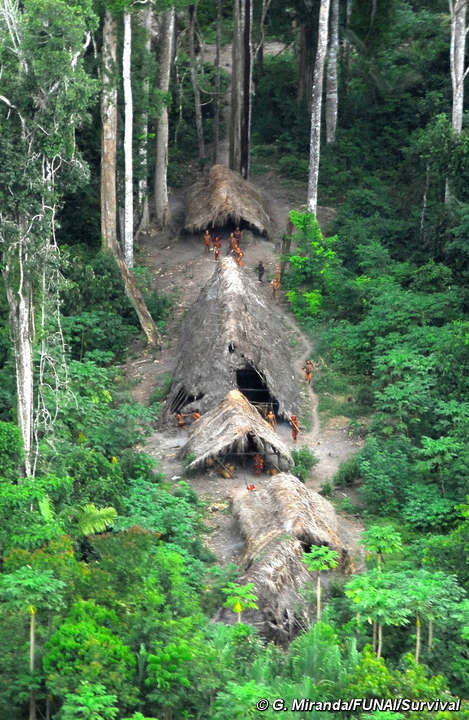 What we do know is that they wish to remain uncontacted: they have shot arrows at outsiders and airplanes, or they simply avoid contact by hiding deep in the forest. 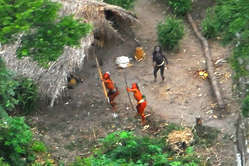 Uncontacted Indians in Brazil appear defensive from the air. This photo was taken in 2008. 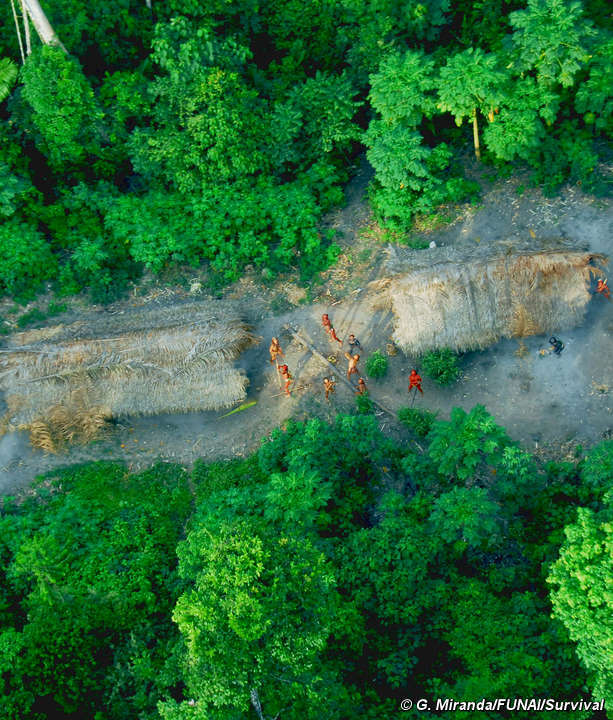 Some, like the uncontacted Awá, are nomadic hunter gatherers constantly on the move, able to build a home within hours and abandon it days later. Others are more settled, living in communal houses and planting manioc and other crops in forest clearings as well as hunting and fishing. In Acre there could be as many as 600 Indians belonging to four different groups. Here they live in relative tranquility in several demarcated territories which are largely untouched. 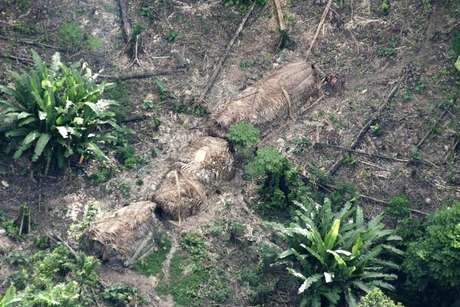 Perhaps 300 uncontacted Indians live in the Massacó territory in Rondônia. They use enormous bows and arrows – one bow was found measuring over four metres – very similar in size and design to the Sirionó tribe live in neighbouring Bolivia. They clearly like to eat tortoises as mounds of shells have been found in abandoned camps. 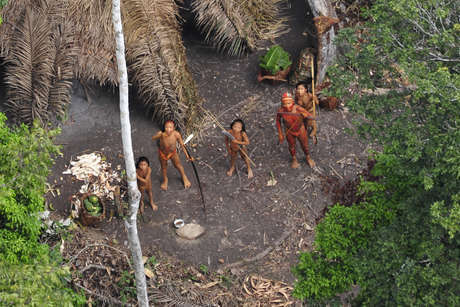 However, other uncontacted groups are teetering on the edge of extinction with no more than a handful of individuals left. 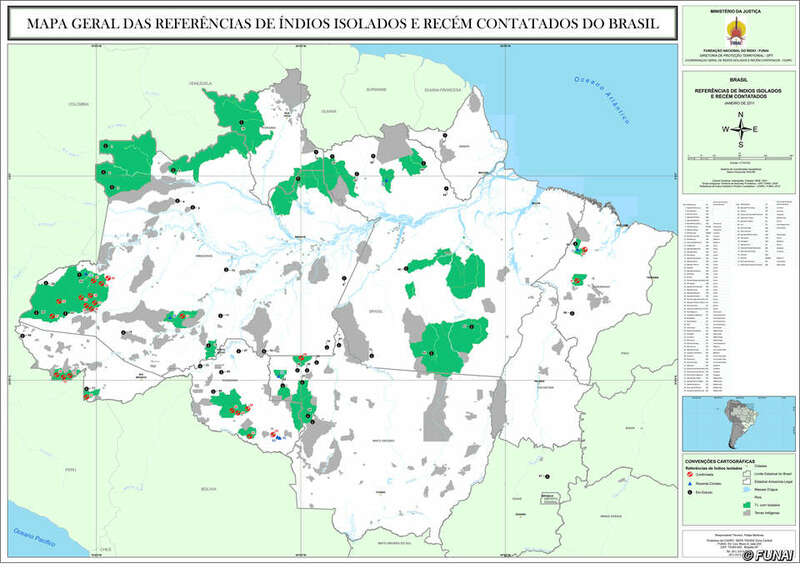 These tiny fragmented groups living mainly in Rondônia, Mato Grosso and Maranhão states are the survivors of brutal land grabs when they were targeted and murdered by loggers, ranchers, and others. Today they are still deliberately hunted down and their forests homes are being rapidly destroyed. 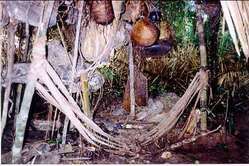 arrows belonging to uncontacted Indians. Mega dam and road building projects, part of the government’s ‘accelerated growth programme’, pose huge threats. 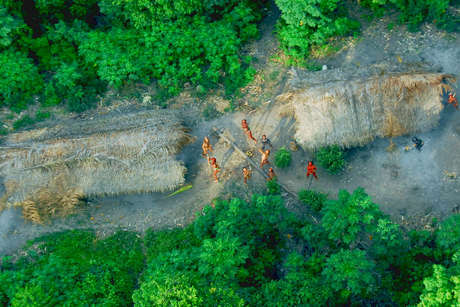 The Jirau and Santo Antonio dams being built on the Madeira river are very near to several groups of uncontacted Indians. A recent report says that some of them are abandoning their land due to the noise and pollution from the construction sites. All are extremely vulnerable to diseases like flu or the common cold transmitted by outsiders and to which they have no resistance: good reasons to avoid contact. Even in this grim scenario, some remarkable stories of survival have emerged. 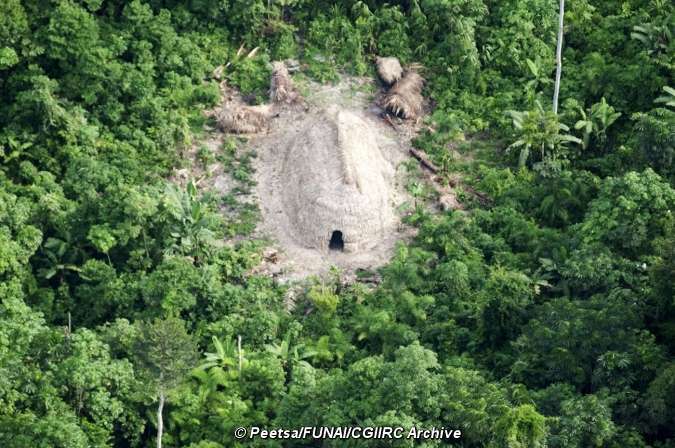 Karapiru an Awá man survived an attack by gunmen and lived on his own for ten years hiding in the forest until he finally made contact with some colonists and now lives with other Awá. 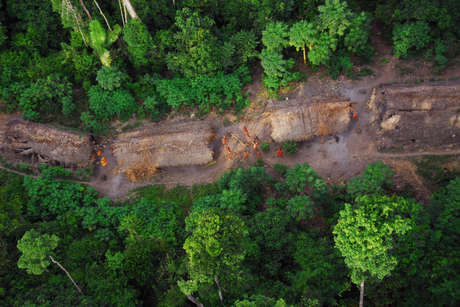 The uncontacted peoples of Brazil must be protected and their land rights recognised before they, along with the forests they depend on, vanish forever. There are tribes all over the world who have decided to remain isolated from national society or even other indigenous peoples. That does not mean that they remain ‘undiscovered’ or ‘unchanged’. Most are already known about and however isolated, all constantly adapt to their changing circumstances. 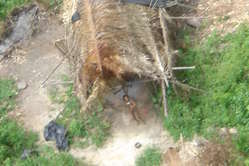 Uncontacted Jururei Indian woman in the Urueu Wau Wau indigenous territory, Rondônia, Brazil. Many have occasional, sometimes hostile, contact with neighbouring tribes. They are well aware of other societies around them. 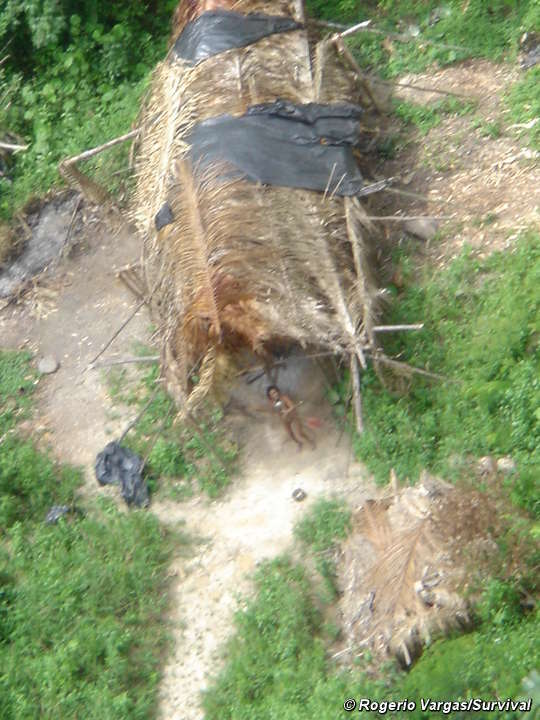 Neighbouring indigenous groups and FUNAI often know the rough whereabouts of such groups. Since 1987, FUNAI has had a department dedicated to uncontacted Indians, whose policy is to make contact only in cases where their immediate survival is at risk. Otherwise, no attempt at contact is made. Instead, FUNAI seeks to demarcate and protect their land from invaders with its protection posts. Brazilian government agency for tribal peoples, FUNAI, produced this map of areas (colored dark green) that are home to uncontacted tribes. 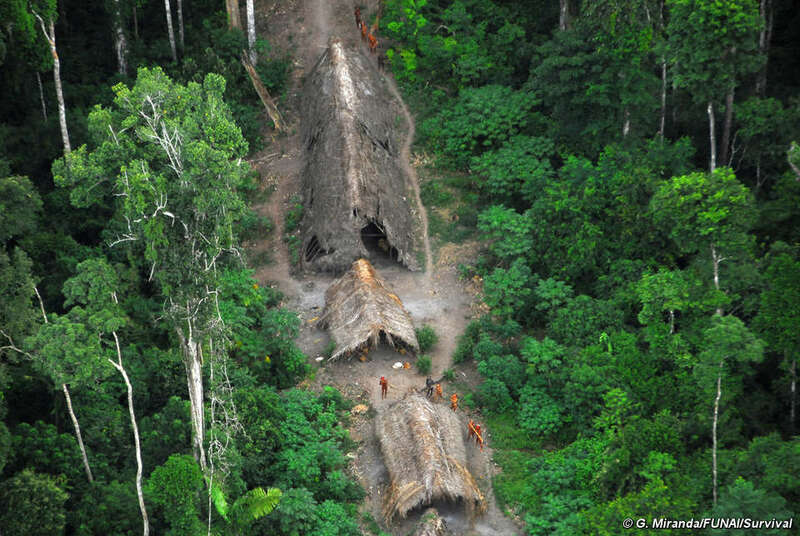 Your support is vital if the Uncontacted Indians of Brazil are to survive. There are many ways you can help. 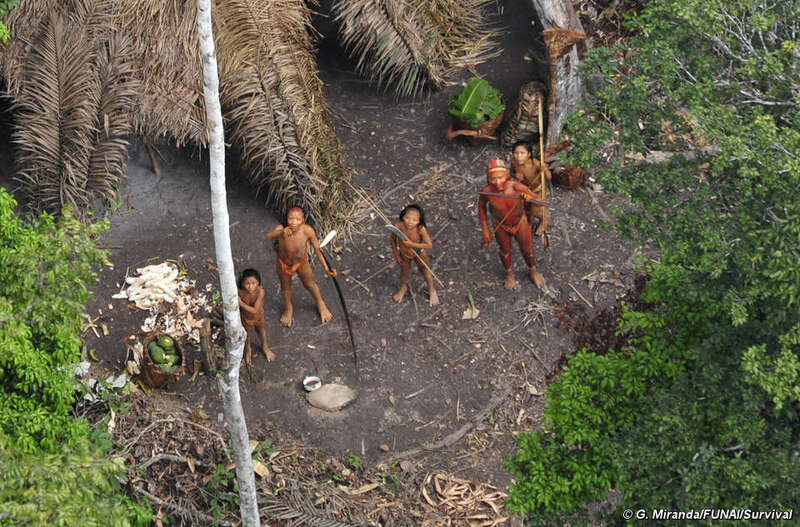 Writing a letter to Brazil’s President about the threats faced by uncontacted Indians is a quick and simple way to let the government know of your concern. 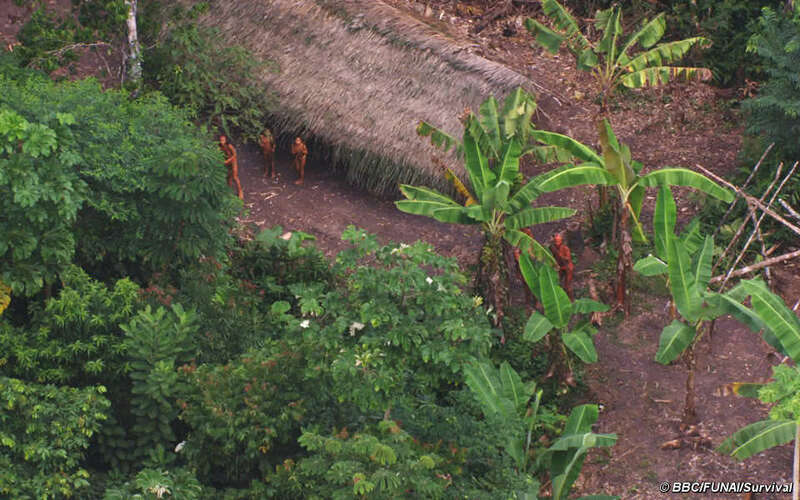 Donate to the campaign for the Uncontacted Indians of Brazil (and other Survival campaigns).